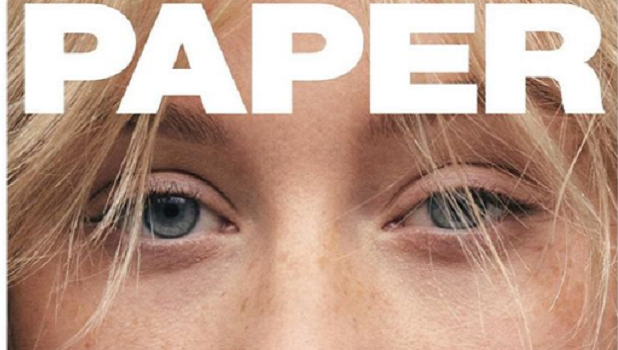 Bare-faced and beautiful, this singing icon just made us swoon over her Paper magazine cover. It's the opposite of how we're used to seeing the star. Christina has tagged one of her latest Instagram posts with #transformation and we cannot agree more. READ MORE: Has our obsession with fake freckles gone too far? The singer made famous from hit songs like Dirty and Genie In A Bottle gave us exactly the opposite of her usual look by posing for Paper Magazine sans makeup. We can even see her never-before-spotted freckles. After her 2002 album Stripped, it doesn't get more raw than this. 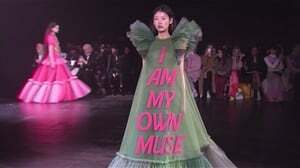 Vogue notes that "...the drastic makeunder has already sent shockwaves across the internet, garnering 160 000 likes (and gaining) almost instantly on her Instagram and causing a subsequent firestorm over Twitter. Given that the 37-year-old icon's previous transformations have each marked a new chapter in her career, from burgeoning fame to a second act on The Voice to divorce and remarriage to motherhood, there's already talk of how her fresh new look will manifest itself musically." Who knows what's next for her. READ MORE: Would you use acid on your face to minimise fine lines and blemishes? Local celebs like Nandi Madida have been very vocal in the past about letting the makeup-free you shine. Alicia Keys too internationally. Something not too common in the world of entertainment. And this, is of course, not to say that no makeup is better than makeup; it's about showing that there are no 'flaws' to be covered up. Makeup can elevate, accentuate and add confidence, yet seeing celebrities expose their natural looks like this really does show us that there is power in baring it all. PICS: Is Cardi B a new style icon? We sure think so.